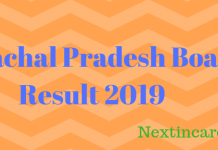 ISC 12th Result 2019: The Council for the Indian School Certificate Examination (CISCE) will be in charge of conducting the class 10th and 12th examination as well as publishing the result. The Result of class 10th (ISCE) and class 12th (ISC) will be announced online on the official website of CISCE which is cisce.org. Every candidate who has taken class 10th and 12th examination will be able to view and download their result. The ISC 12th Result 2019 will be released in the month of May officially. ISC 12th Result 2019: ISC stands for Indian School Certificate. Class 12th board examination is also known as ISC board examination. This examination is conducted for class 12th students who have taken up various streams. Students will be able to view their class 12th result in the online mode on the official website of CISCE as given above. The ISC board exam 2019 will be conducted from 1st week of February till the 1st week of April 2019. The result of the same will be published on the official website in the month of May. The passing marks for each subject in 2018 had been decided to be 40%. This means that the candidates will have to obtain at least 40 marks out of 100 to be able to be declared pass in the coming results. Students will have to enter their UID number and course name in order to access the results. ISC 12th Result 2019: The ISC 12th Result will be declared in the online mode in the 2nd week of May 2019. The candidate will be able to view his/her result on the official website. Here, they will be required to enter their UID number and course name in order to access the result. For a student to be declared pass in class 12th, he/she must have scored at least 40 out of 100 in every subject including English. The exam takers who are declared passed in the exams will be issued passing certificates, transfer certificate, migration certificate, character certificate etc. from the concerned school. The provisional certificate and other certificates must be obtained by the candidates within 1 month of the result announcement. Steps to check ISC 12th Result 2019? Follow the steps given below to download the ISC 12th Result 2019. Visit the site at cisce.org. Click on the link of ISC 12th Result 2019. 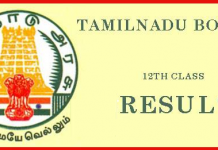 ISC 12th Result 2019 will be displayed on your computer Screen. In case of any doubt, the Schools can contact the CISCE help desk through call 022-67226106. The students are likely to be allowed the provision of re-checking this year. 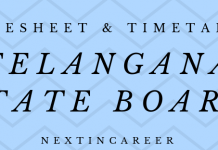 Last year in 2018, candidates were given the opportunity for the first time to get their mark sheet re-checked. To do so, students will have to click on ‘Apply Recheck Online’ button. It is a paid service, for which the candidates will have to pay Rs. 1000 per subject. The request for re-checking can only be sent within 7 days after the announcement of the result. Candidates must note that if any error is found in any of the points mentioned above, the Board will revise the marks of the candidate. Class 12th is a crucial stage. With the score obtained in ISC examination, a candidate will be able to choose the institute of his/her choice and apply for the same. Those students who want to take admission in reputed colleges/institutes or Universities for undergraduate programmes will be required to present their marks during verification. We will provide the link for the students of class 12th through which they can download their results. Students must make sure to take a print out of the result after they have viewed the same. 3 Steps to check ISC 12th Result 2019?